Perhaps it was something about the rainy, overcast weather that made Tuthilltown seem like something out of a movie. 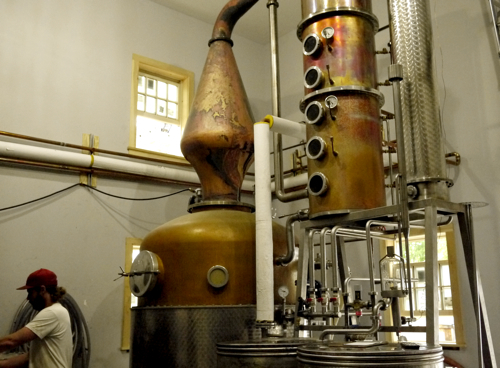 It was the Friday before Memorial Day weekend and the Hudson Valley farm distillery was quiet. A cat, later to be identified as Bourbon, lazed on the porch. Mud stirred with the pouring rain and apple trees dotted a hazy horizon. Everything was in place, perfectly serene. By the time I pulled up to the farm in Gardiner, NY, my memories of Brooklyn from earlier that morning had faded somewhere along the peaceful drive up Interstate 87. New York’s Hudson Valley region is astonishingly beautiful. It has the ability to strip the concrete walls of New York City from your brain and replace it with lush green and rolling hills. It’s a much needed breath of fresh air away from the intensity of the city. Gable Erenzo met me inside the distillery center – a wood farmhouse filled with barrels and a tasting bar, along with various farm-related knick knacks. 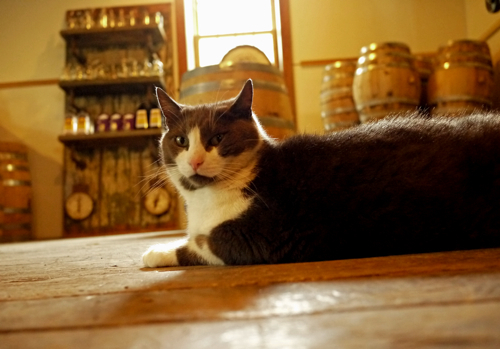 Gable is a distiller and brand ambassador for Tuthilltown. His father, Ralph, started the distillery back in 2003 with partner Brian Lee, and together this team has been responsible for building the spirits operation – New York state’s first whiskey distillery since prohibition. I had met Gable a number of months prior at an event in Boston, but it was nice to see him at home, on his own turf. The distillery site is picturesque. 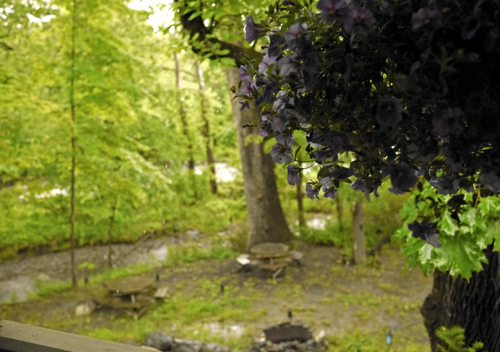 Surrounded by farmland, lush trees and a pacing river, Tuthilltown truly invokes a sense of tranquility and history. 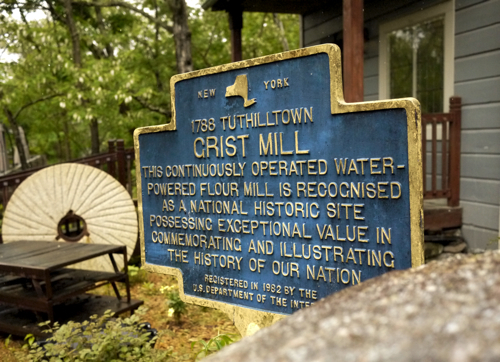 Outside the restaurant building that lies on the property, a sign remembering the Tuthilltown Gristmill notes the property as a historic landmark. 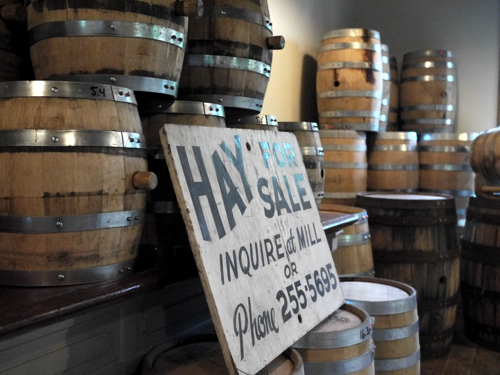 For 220 years, the Gristmill used waterpower to render local grains to flour. Now, Tuthilltown is a true farm distillery, using local grain and ingredients to power a spirits business that has gone nationwide. Gable showed me around the various buildings on the property. 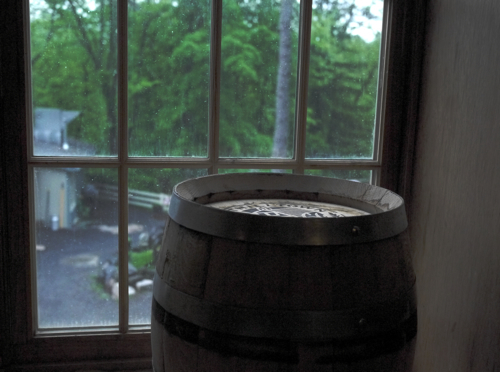 We walked out into the pouring rain, trudged through mud and into the shelter of the distillery building, which was in the process of being renovated. A few new 3,000-gallon fermenters stood tall and gleaming, nearly touching the ceiling and casting shadows on the more modest grain mash and other not-so-commercial equipment in the shop. 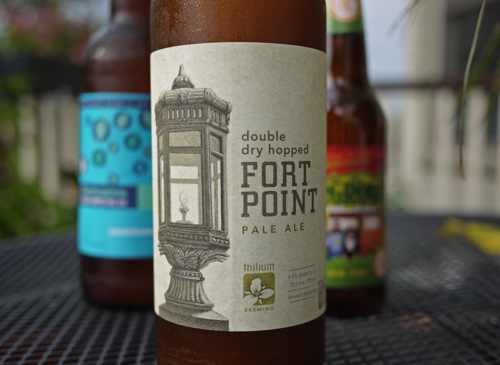 According to Gable, it takes six batches a day to fill one of the fermenters. Growth is certainly on the horizon. 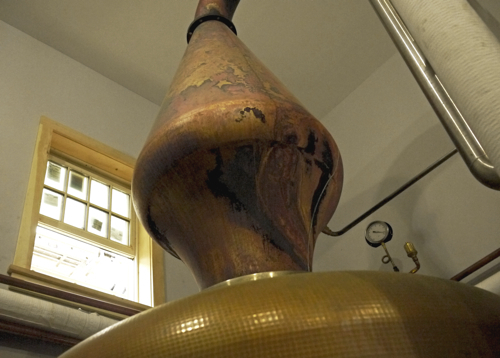 A set of beautiful German copper stills stood behind enclosed glass. Upon questioning I learned that the distillery had recently gone through a nearly devastating fire that started in the still room. The renovations and newly constructed “safe area” was meant to keep the stills “safely” away from the rest of the operation, just in case… Examining the stills it’s easy to see where the fire took its tole. The copper is still scarred from the flames. 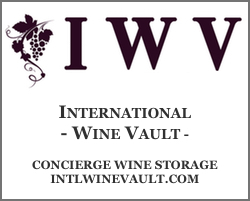 From the distillery facility we headed back out into the wet Hudson Valley air, trying to avoid puddles that had gathered in the mud as Gable and I walked hastily toward the bottling room. 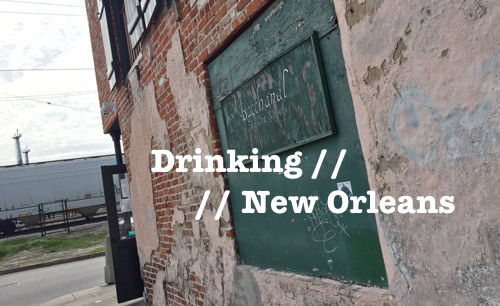 Productions like this are always great reminders of what craft distilling is all about. 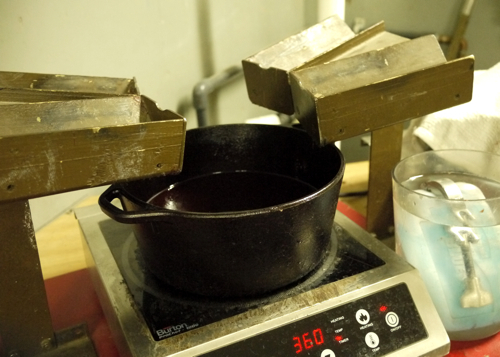 You get used to seeing finished product at retail shops and bars, and its easy to forget that not all spirits are created in massive production facilities like many of our favorite Scotch whiskies and mainstream Bourbons. Tuthilltown is absolutely a craft production (despite their Hudson whiskeys being part of the William Grant & Sons portfolio), and the bottling line with a single-bottle hand-dipping wax station is a clear reminder of this. Tuthilltown started selling its spirits in 2005, and in the eight years since has created a solid lineup of products with their Hudson whiskeys leading the charge. 90% of the grains are sourced within 10 miles from the distillery, with the exception of the barley for the Single Malt. Apparently, there just aren’t the local resources yet to provide the quantity of malted barley needed. 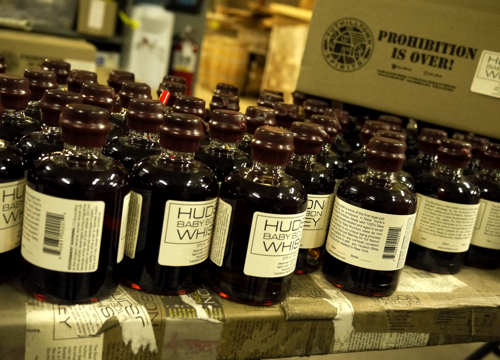 The Hudson whiskeys – including the Single Malt, Baby Bourbon, Manhattan Rye, Four Grain Bourbon and unaged New York Corn Whiskey are fairly available nationwide at quality retailers. 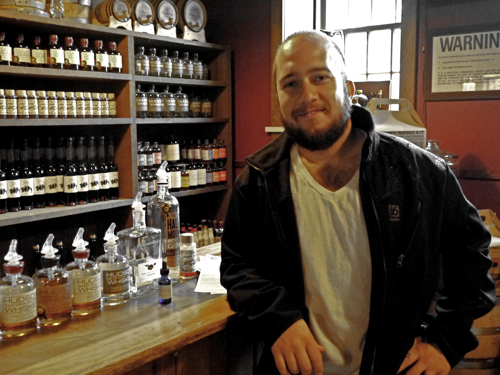 Tuthilltown’s smaller production products like the Half Moon Orchard Gin and the Indigenous Vodka (both made from locally sourced apples) have more limited availability in New York and the Northeast. 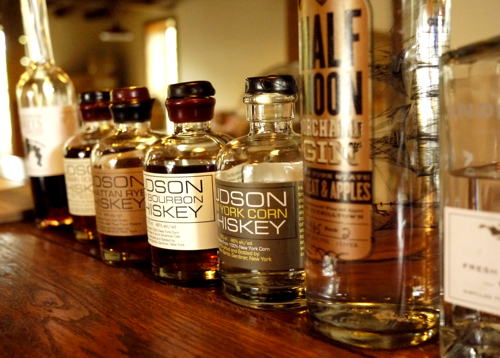 Out of the distillery’s solid lineup of spirits, their Baby Bourbon is my top pick. 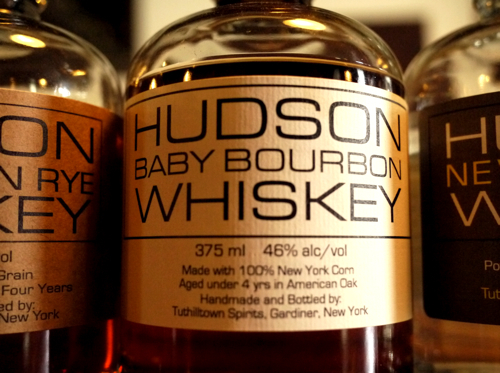 Frankly, both of Tuthilltown’s Hudson Bourbons were standouts, but the Baby Bourbon had that extra something to kick it up a notch. 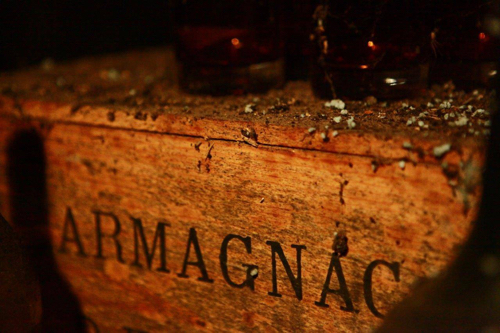 It also just happens to be the first Bourbon distilled in New York. If you’re up in the Hudson Valley area, or find yourself looking for a day trip out of New York City, I’d highly recommend swinging out to Tuthilltown. The place is beautiful and the spirits are well done. 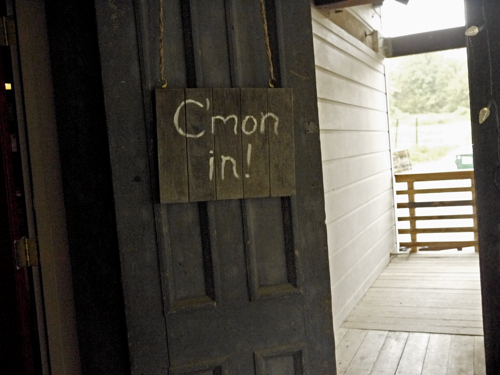 There’s also a neat little restaurant on the property for an after-sampling lunch.